Most people do not think of their home toilet as an added decoration to their bathroom. Kohler has decided that it is time to change the way everyone thinks. 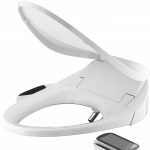 They have designed a toilet that adds more to the overall appeal of your bathroom, and the best thing is, you simply have to decide you want it. The one catch, you have to want to relax in an English countryside style bathroom. To see it for yourself, you should take a look at our Kohler English Trellis Design Portrait review. When you first look at this toilet, you will be amazed by the intricately painted English Trellis design that is growing on the tank and toilet base. 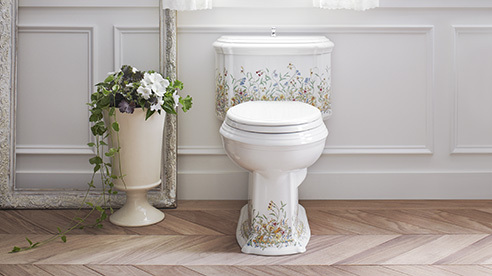 It is a toilet that was designed and inspired by the legacy of English chintz patterns. 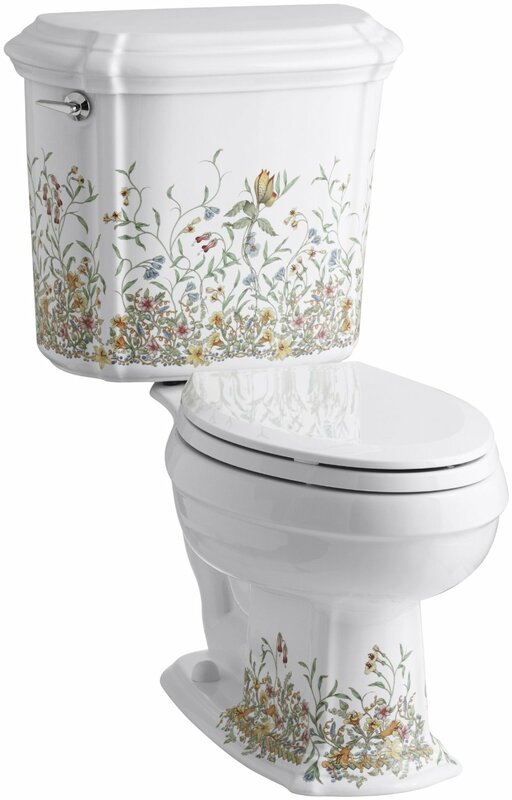 It is a toilet that depicts the way floral can climb over the fixtures in every room and even though it is painted in, it gives the look of a hand-touched engraving. All of the pale pinks, blues, greens and other colors are done on a white background to ensure that it is truly beautiful. 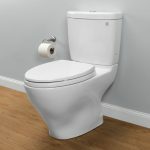 With your purchase of this toilet, you will receive the Lustra seat and the insuliner tank liner. This gives you everything that you need. 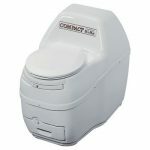 It is a two-piece toilet to make installation easy on everyone. The toilet is made of Vitreous china and it is an elongated bowl for your comfort. 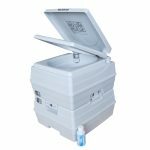 It uses the Ingenium flushing system and its base design is the Kohler K-3591-0. 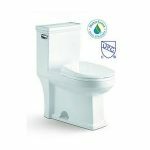 This means that it uses only 1.6 gallons per flush and features the same contours that people already love. It requires a 12” rough in and has a left-hand tank lever. 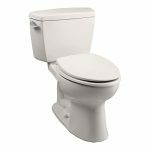 The dimensions of this toilet are 30 x 20.4 x 32.6 inches, which makes it ideal for most bathroom spaces. It does have a comfortable seat level for you to sit at. Is There Usability in the English Trellis? 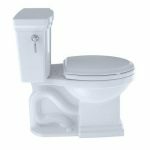 One of the biggest reasons a person may not want to choose this beautiful toilet is the fact that they may worry that beauty is only skin deep with this toilet. Admittedly, it does have a smaller flush valve that many toilets that are now on the market. It uses a standard 2” flush valve where other toilets use nearly 3” for their flush valves. This can be a downside and means you have more chance for clogs, but the Ingenium flushing system helps to keep the issues down. This toilet is also easy to clean and you should not have to worry too much about the artwork fading out over time. This is because it is also coated. You can use cleaners on it if you want to, but the outside of the toilet should be easily cleaned with a soap and water mixture. Is The English Trellis Toilet Worth The Price? To the right person, this could definitely be a toilet worth having. It is a novelty. Therefore, it does come with a novelty price. 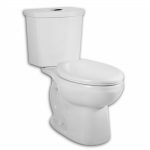 However, it is also a solidly flushing toilet that when installed properly could give you a major showpiece inside of your bathroom. 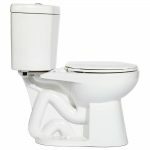 It is an absolute guarantee that when people come to visit, they will be impressed by the overall beauty of your toilet. It is also a Kohler toilet, which ensures that it is a quality product. Anything that comes with the Kohler name can be a trustworthy investment. You simply have to decide that you want to invest in it. 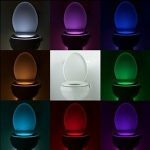 What is the most you are willing to pay for a toilet that will outshine all others? We think the Kohler English Trellis Design Portrait toilet could be a great thing, but ultimately, you have to decide whether the picture is truly a thousand words or not.